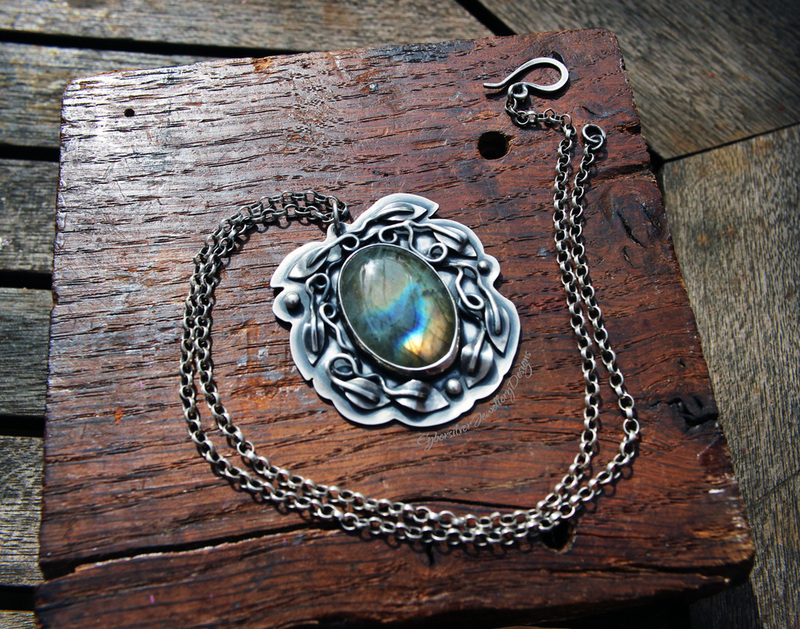 This beautiful pendant is a one-of-a-kind created to my own unique design. This necklace is entirely handmade by me - each leaf is hand cut and soldered onto the twisted vines and each vine is soldered in place. 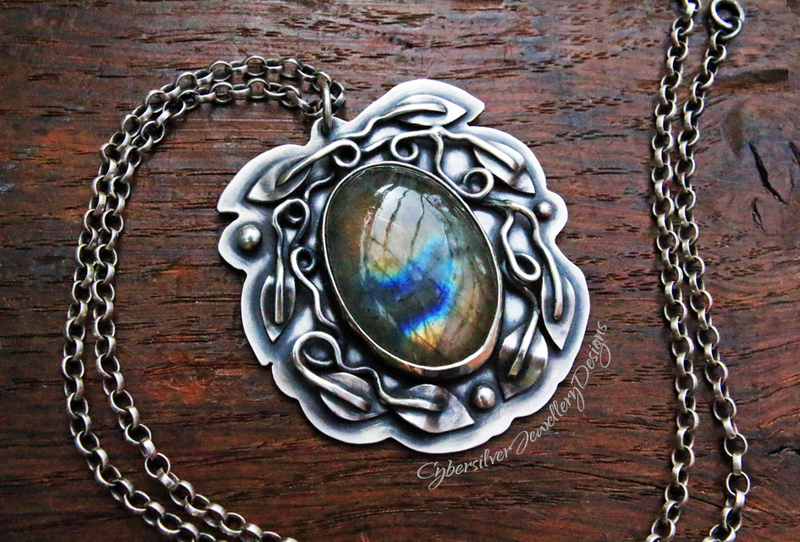 The labradorite gemstone has a beautiful golden schiller with a fantastic flash of blue when caught by the light.